By now I suspect most of you have read the novel 'One Second After' by William R. Forstchen. If you haven't, I'd recommend you bump that one up on the priority read. It's an EMP (Electromagnetic Pulse) story and the author explores just how devastating one would be if used against the US. In a nutshell, the energy pulse derived by a nuclear detonation above the earth's surface would be magnified many times through what is referred to as the Compton Effect. As the theory goes, the resulting magnified pulse of energy would destroy anything electronic rendering it useless. This includes everything from the electrical grid to your car down to your handheld calculator and watch. 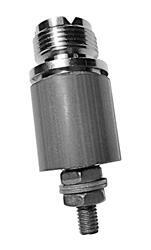 Some simple things could be done to protect key electronic components in such an event. Namely the Faraday Cage which is a grounded structure that houses sensitive electronic items. The pulse would hit the metal structure and be routed around and out the grounding rod. From what I read, Faraday Cages can be constructed of a wire mesh or solid walled metal material. For all I know, chicken wire might work as well. I'm no expert on the subject, but I pondered what I could do to somewhat protect my assets in such an event. 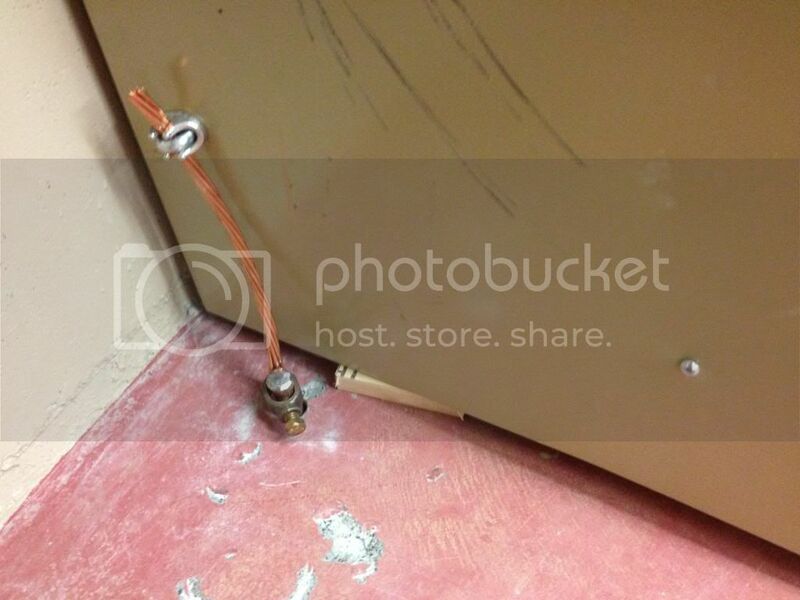 My first "Faraday" idea was to get a metal garbage can and lid and ground it to a grounding rod in my basement. This project was a rather quick install. i lined the can with a military foam sleeping pad as an additional insulator and of course grounded the lid to the can. I think it will work as far as a Faraday Cage is concerned, but it really is awkward storing stuff inside and having to dig through everything to retrieve items. 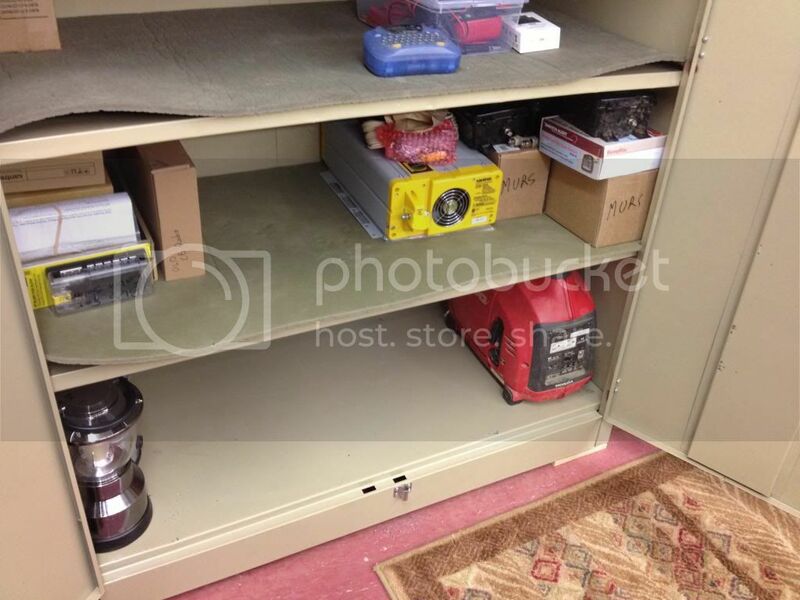 I kept an eye on crags list looking for a metal storage cabinet. Not many were listed so it was a waiting game. 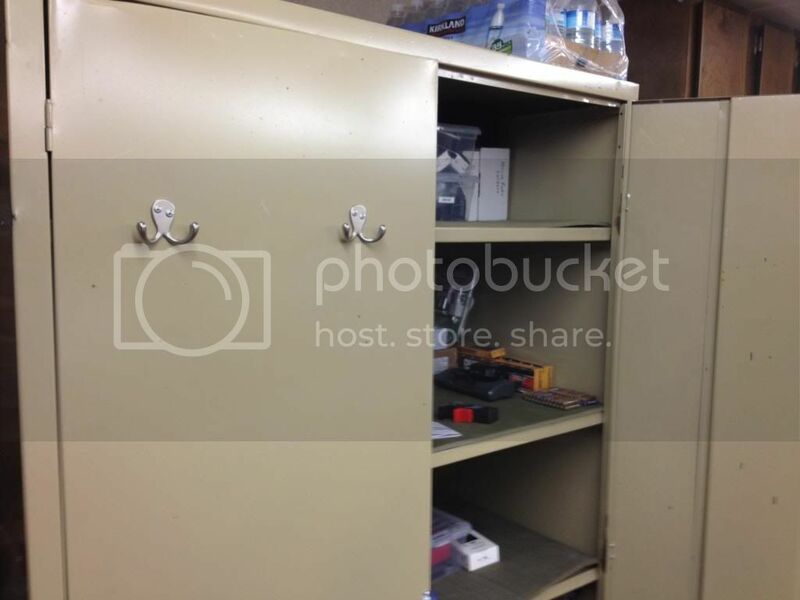 You could also use a metal file cabinet but I wanted the storage capacity and ease of use of a cabinet. 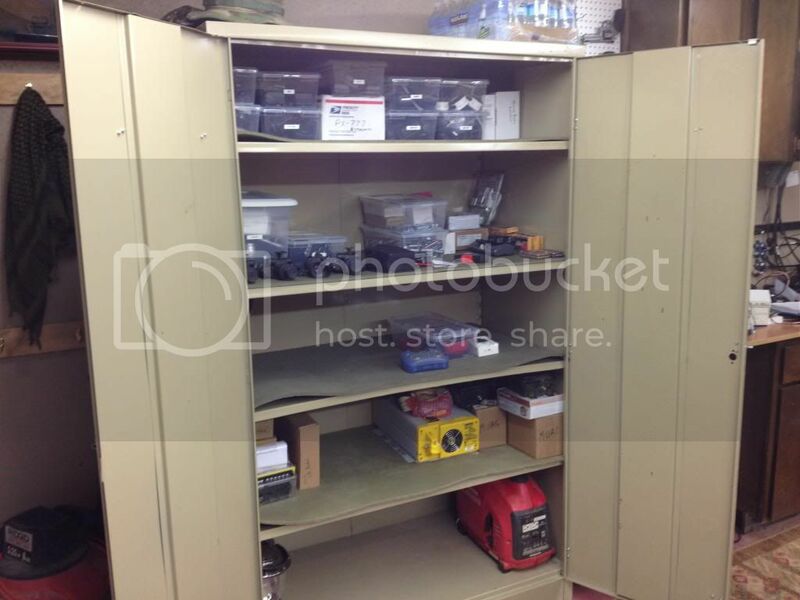 New - this cabinet runs about $500. I found this one for $50 as it was a damaged freight item. It's 4'x2'x7'. I drilled a 1/2' hole in the concrete floor of my basement here and - using a fence post pounding device - drove in an 8' grounding rod. Then it was just a simple matter of hooking it to the cabinet. Now it's just a matter of simple organization to get things stored inside. You can go as far as you'd like to protect yourself from an EMP. For instance, perhaps getting a spare ECU for your truck/car or other motorize devices would be nice. I have spare charge controlers and inverters for solar systems. All my handheld radios and chargers are stored here. You can see I have a generator stored inside. Use your imagination here. I bet I'll have this thing filled when I'm finally done with the project. So for me - I could use the storage space this cabinet provides. BUT, by default it also serves as a protective container against an EMP. Unfortunately, the radios that I use regularly will not be protected as it's not practical to unplug and store for every use. so I'll have to consider getting spares. Antennas I believe would not be effected by an EMP so they should survive in good shape. And - to maximize efficiency - I added hooks to the exterior for hanging gear and such using pop rivets. Also, I anchored this cabinet to the concrete wall. It is rock solid! So I guess my question is - why risk being vulnerable to an incredibly devastating event when the solution is easy to install and practical for use? I'm interested in your thoughts and discussions. Amazing, Tom, just amazing. Well done. 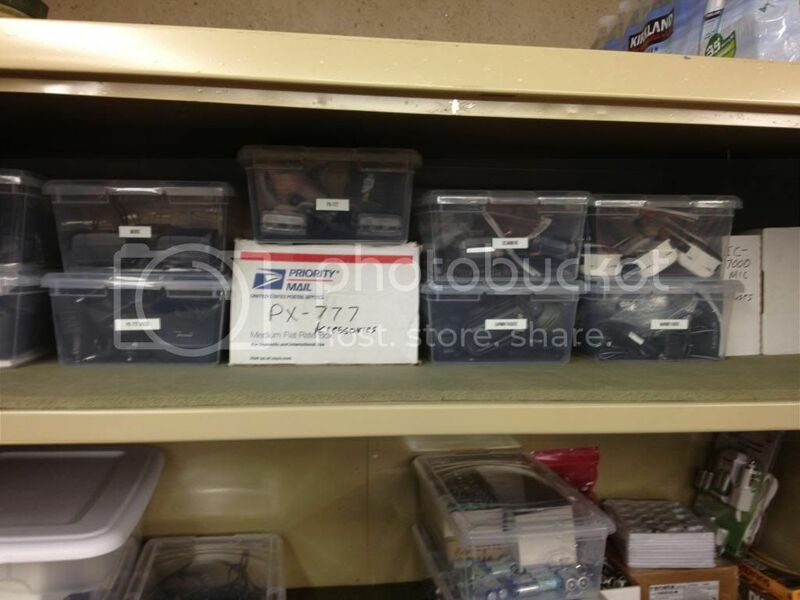 I remember when I was working at ARRL HQ we had a small room -- a large closet size maybe -- that was "Faradayed". As I recall, the lab droids used it for, among other things, doing the spec checks on the various equipment that was to be written up for QST. The problem there was that there were a number of 1.5 KW transmitters across the parking lot at W1AW. Not to mention the fact that the rascal Luck Hurder was often to be found working satellites in the very next room to the lab. Lots of RF, to be sure. I admire the way you grounded that cabinet, Tom. So? When ya getting on WINMOR? I know, pushy, pushy. I contacted Jerry Emanuelson, the author of the article listed above regarding my Faraday Cage (I sent him a link to this post). Turns out that metal cabinets may be more complex than I first thought. He recommended I spot weld all the joints to create continuity around the cabinet and add a mesh copper seal around all the door contacts for positive connection when the doors are closed. ALSO, be sure to grind off all the paint around all the components of the cabinet that touch each other so that a positive connection is made. The pained edges of the panels can act as an insulator. I'll disassemble this sucker to get it right. Copper mesh is on order. I'll post more pics of this project. As for grounding - he approved of the job I did but is very careful recommending others to ground their cages. Most folks will actually create an antenna to better attract a pulse rather than dissipate one. Going through the concrete in your basement floor is acceptable so long as you know what lies beneath. In my case - it's fine sand (no sewer pipes or anything). An easier faraday cage is a metal garbage can lined with foam. But then you have to dig through it to get at stuff. That's the easier way. Of course I'm going the long way around (yet more functional)! The one weak point in this is the coax, either keep some extra in the faraday cage...and/or use Luck's separator "thingy" on the exposed coax. Luck, thanks for this (belatedly)...but I'm not sure how I would connect these...? What do you put in the Faraday cage? If you have duplicates of everything you use day to day, that would get pretty expensive. If you pull your equipment out to use it, and put it in the cage when not in use, you've got constant work and if an EMP occurs while you're using the gear, then it is toast anyhow. Maybe not - I have a 10m/CB radio in one - and in two cars. But it will also hold my 2m rig - along with coax and antenna and instructions for deployment. 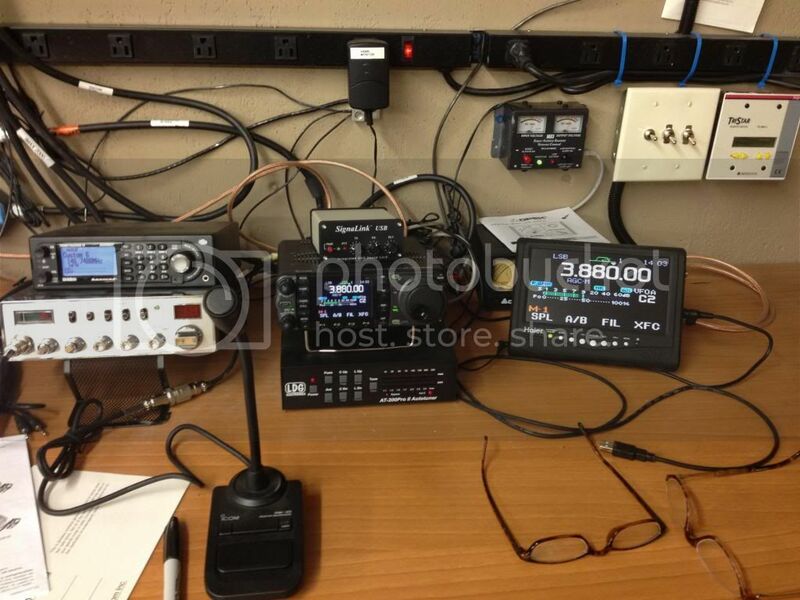 If you're a prepper - a base station should either be duplicated in your BOL, or your radio should be able to be disconnected and stowed for transportation quickly. What is the size of that box? I'll have to get you the exact dimensions tomorrow - but I think it is roughly 16"-18" square x 6"-8" in depth ( each half of the box is 4" deep and attaches via latches all around the perimeter of the box. It comes with some very old foam padding - some have told me about a website where new custom pads can be ordered, for now what I have works. The one thing I do NOT have in the box that will be required is - a power supply/battery. I'm thinking that my home and BOL will have shielded batteries, but getting from here to there, I don't have an option...other than the car battery...which would have been fried...right? Maybe not though as the metal body of the car should actually act as a Faraday cage, right?